The 60 Watt MagSafe 2 Power Adapter features a magnetic DC connector so if someone should trip over it, the cord disconnects harmlessly and your MacBook Pro stays put safely. It also helps prevent fraying or weakening of the cables over time. In addition, the magnetic DC helps guide the plug into the system for a quick and secure connection. 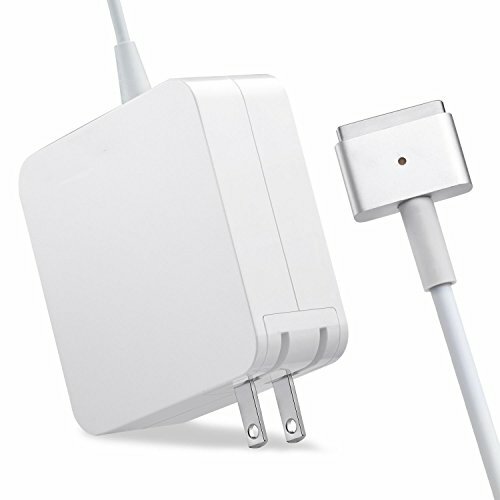 -1.This is the second generation of magsafe power adapter,The T-tip connector. -2.Put it at a dry and cold place when charging. -3.Do not use the charger with wrong mac model. -4.When connection is secure, the LED located at the head of the DC connector lights up; An amber light lets you know that your mac is charging, while a green light tells you that you have a full charge. Compatible with Macbook PRO 13 inch：MD212,MD213,MD662,ME864,ME865.ME866,MGX72,MGX82,MGX92,MF839,MF840,MF841,MF843. If you have any questions about this product by Sehonor, contact us by completing and submitting the form below. If you are looking for a specif part number, please include it with your message.